Qualified by Experience. 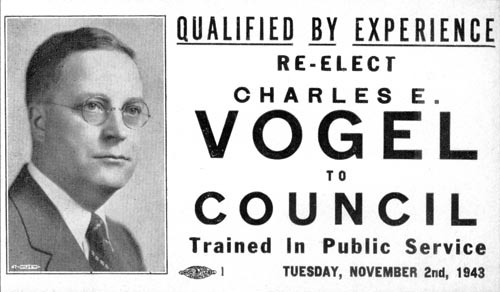 Re-Elect Charles E. Vogel to Council. Trained in Public Service. Tuesday, November 2nd, 1943. Are you looking for VOGEL ancestors? If so, we suggest posting a query to our Community Message Board to get assistance from other researchers.